Editor’s Note: Not only is Erica Gragg an ACE-certified Vinyasa flow yoga teacher, she is a wellness and travel expert, otherwise known as ‘The Escape Artist’ on social media. Erica co-created the acclaimed travel, fitness and lifestyle programs Escape to Shape and Destination Detox. 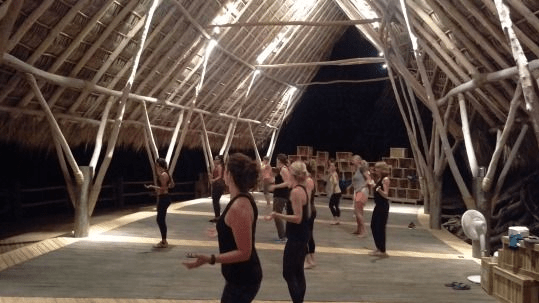 We are huge fans of Erica’s programs, which encompass wellness journeys through Botswana all the way to the Sacred Valley in Peru. Her upcomingDestination Detox is a bit more local, in the mountains of New York’s Hudson Valley. But we get it, not everyone can make it to Erica’s retreats in Marrakech. So we asked Erica to give us a rundown, a destination detox spa cheat sheet if you will, on all the popular wellness spas from Canyon Ranch to The Ashram. If you ever thought about hitting up one of these spas, Erica wrote your ultimate guide just for Charlotte’s Book. Good For: Variety. Each day offers a wide variety of optional activities, from desert hikes to dance parties, as well as workshops like “The Science of Weight Loss” and “Cultivating Inner Peace,” and the schedule is updated weekly. Meetings with Program Advisors and Nurse Educators to design your program are free, and alone time—whetherin your room or in the Spiritual Wellness Center—is encouraged. You can do as many or as few activities as you like and go at your own pace.